My bookbag is again full. I can count 8 new ones ones in possession through the past week. It is a bit enervating, considering it's been a while since a full-novel read. With work done, I hope, there is time. Writing in detail will come later. Right now just wanted to put a smooth shopping experience out there. 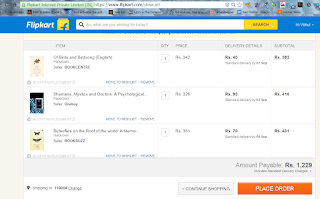 I was going to order a set of books from Flipkart, until I ran into Infibeam. 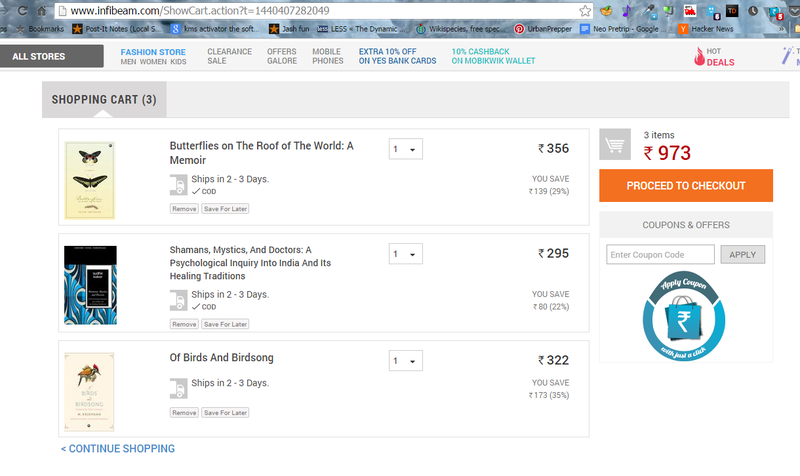 That helped with an instant saving of INR250. 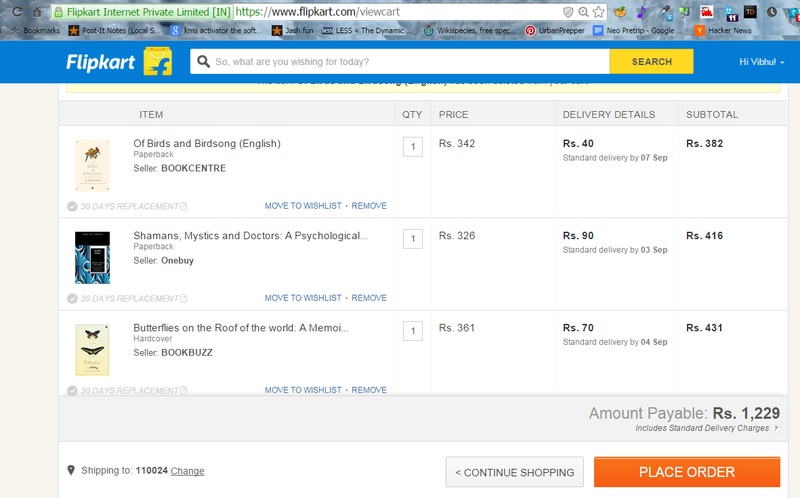 Flipkart is out of its discounts and free shipping these days. Albeit their book inventory is the largest, Amazon and Infibeam are also there to match (Amazon, I believe, will over time, get the book market). I'd already ranted about how FK is losing out on customers because of poor sales support. This gives another reason to customers like moi.